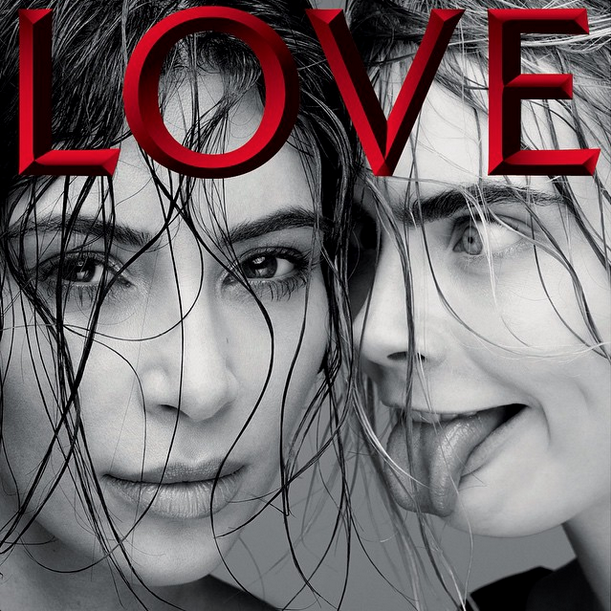 Yesterday we were excited to share a teaser photo of Kim Kardashian and Cara Delevingne for LOVE magazine, now here's a look at Kim Kardashian's solo cover for the issue. Dressed in some of Prada's best pieces, like the bright fur scarf from S/S 2011 and a floral skirt from the S/S 2015 collection, Kim helps celebrate the iconic brand's designer Miuccia Prada. Her bleached eyebrows definitely made us do a double take!